I figured, since I am new at this concept of a blogging website for homeschooling that I should start from the beginning. 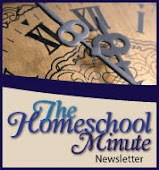 Many blogs I read are from parents that have homeschooled since their children were old enough to learn. My experiences have taken a more indirect path. 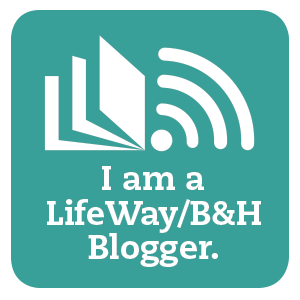 My entire goal with blogging about homeschooling and all that relates is to help other parents in the same or similar situation as I am. Perhaps this blog can shed some light on what brought me here. I wanted to homeschool since my children were young but I never had the confidence. I live in Montana, a state that is very laid back on the homeschooling laws. When I first moved to the area I lived across the street form a homeschooling family, the mother was the head of a local homeschooling group. But still, I was reluctant. I had a love/hate relationship with my own educational experiences. I hoped for my son to experience the positives of public school. He was a smart kid and would do well. I was divorced from his father and he was against the idea. I guess my mind was pretty much made up for me. I didn't want to fight it. Remarried and 3 more children later I have watched my oldest sail through school. His only challenge: he was too smart for the classes. His teachers refused to challenge him and he was forced to take the same subjects repeatedly because that was the school's idea of providing for "gifted" students. Put them in 7th grade math while in 6th grade so that when they reach 7th grade they have to do it over again.... it has been frustrating to say the least. I wished I could homeschool but my confidence was still too low. One day I had a divine revelation. I decided to start taking classes in education at the local college. I figured if I can't homeschool I can still educate others. I was planning my degree. Soon after classes got into full swing I started noticing odd things. Problems were arising and I was realizing that there were other factors at play. After reaching my 30s with 3 kids in public school, volunteering to the point of being asked to sub, heading up groups and writing for educational publications, and just being a very observant person... I was feeling as though I was wasting my time. I don't mean that to sound haughty. Let me explain further. I feel I am more of a common sense type of gal. I have a knack for figuring things out. I like to read and research any subject that requires more knowledge. The World Wide Web and my local library have all that I need. This combined with my seasoned experience as a very active mom left me finding my classes redundant. They were merely repeating concepts and ideas I had presumed or used for years. Only now I was forking out money to not only be taught what I already knew, but to be led by an instructor/advisor who was a non-Christian, liberal, feminist. I am not against any of those things but I am against forcing someone else to bend to your will on subjects that have more than one point of view. I am against outwardly attacking Christians in a classroom in a country that was founded on the premise of religious freedom. I am against using the teaching platform as a political platform to enlist others into your own agenda. All of this was going on and happening to me and others in those classes. That is exactly what is happening even in primary schools. My oldest has reported to me on as much from his teachers. Then it hit me: I have to save my children from this type of 'represion'. And I could do it by doing homeschooling. I realized that I was not inadequate after all. I had it within myself all along. God had revealed to me, through my classes, that I was indeed capable. But now the challenge was winning my husband over to the idea of homeschooling. I had to leave it in prayer. My oldest daughter was the surprising answer to that prayer. God bless that poor child, I always knew something was different with her. I had pointed it out for years to the school but, of course, what do I know? I am just her mother. Finally, in 4th grade, she was tested for ADHD and dyslexia. Her scores on ADHD were almost off the chart. Dyslexia was a mild side note that didn't help matters any. When her little brother, 2nd grade at that point, tested in the high end of the spectrum for Dyslexia and Dysgraphia I knew I was going to have to become a very proactive parent if they were to receive the help they needed. Within weeks of the diagnosis and subsequent teacher/counselor/specialist/mom meetings, things were going from bad to worse. They were both being held in from recess because they could not complete their work. They were coming home from school just to spend the entire evening on catch-up homework. We were all burning out. To top it off I was discovering that my 2nd grade son had additional auditory issues from spending part of his early years mostly def (another story I will dive into on a different day!) The teachers seemed to glaze over when I addressed the issue. Addressing my daughter’s ADHD only invited comments of, "if you would just put her on medication". I had had enough. My youngest was a year from starting kindergarten (another quandary in itself that I won't detail here) and, like my oldest, was already a very accelerated child. I foresaw a future of stifling knowledge potential in my youngest while her other two siblings struggled and battled against the waves. I finally decided to approach my husband. What I thought would be a tough sell ended up being a quickly done-deal. We set expectations of ourselves and the kids and agreed that, after Christmas break, they would not return to public school. I spent the interim researching curriculum, getting back in contact with my old homeschooling neighbor, and looking for any and all information on the challenges my middle two children were facing in their learning abilities. Homeschooling isn't always easy. But I can honestly say that I don't really miss the public school days. Public schools are not what they were when I was growing up. From curriculum to kids to teachers... it is all different, in a bad way. Not that all teachers are bad, mind you. There are some great ones out there, but the system seems to restrict even their best potential. I am blessed to have my kids home. My oldest is still in district as a high schooler now. The choice to homeschool would probably still be a tough sell to his dad and my son is rather attached to his friends, even if the curriculum still discourages him. He is blessed with a good head on his shoulders and enough drive and ambition to lead him onto his greater potential. My first blog, Why We Are Here , along with this blog helps to set the course for why I homeschool and why I am blogging about it! My hope is to share our trials and tribulations along with any and all research I do on Dyslexia, Dysgraphia, Auditory Delays and ADHD. Perhaps it can help someone else. I am finishing up some classes still at the local college (as of February 2009). So information, at present, may be a bit delayed at times. If you have a particular area of the learning disabilities I have listed that you would like more information on, please let me know. I will do what I can to help.